The Street Child Cricket World Cup will be based in Cambridge, with events taking place across Cambridge and London, in May 2019, with the finals to be played at Lord’s Cricket Ground on 7 May. The event will create a global platform for street-connected young people, and the organisations which support them, to campaign from. Street Child United events wouldn’t be possible without our incredible volunteers. For the Street Child Cricket World Cup we’ll need volunteers to organise and run activities, deliver arts workshops, tell the stories of the event through the press, broadcast media, digital media, photography and video, act as interpreters, fundraise and provide medical support. Join us for the full Street Child Cricket World Cup experience! An incredible opportunity to be part of something huge. Being there for the full 11 days will mean you can have the biggest impact on the young people taking part. You will be the ones to help them get the most out of this experience. Accommodation is provided and you will be required to fundraise £850 towards this amazing event. This includes the three main days of cricket: two days at Parker’s Piece in Cambridge for the group stages, and the finals at Lord’s Cricket Ground in London, as well as two days of Congress where the young people from around the world learn about their rights and share their experiences with each other. You will support the event during its most intense period, and as it’s a bank holiday weekend, you would only be missing two days of work/study. Accommodation is provided and you will be required to fundraise £400 towards the event. Two fantastic days jam-packed with cricket. You’ll see the opening ceremony and support our Street Child Cricket World Cup festival on Parker’s Piece in Cambridge. It’s a great way to get a quick taste of what we do at Street Child United. Accommodation is not included, and you would only need to fundraise £150 to join us. For more information on the details of what is involved, check the FAQs section below. If you are ready to apply, just click THIS LINK to fill out an application form and we will get in touch with you to arrange a suitable time to interview over Skype or at our office in London. Deadline for applications is Monday 1 April. General volunteers are at the heart of the Street Child Cricket World Cup. They will be central to the day to day running of the event and be involved in everything from setting up the day’s activities, supervising and supporting the teams and making everything run as smoothly as possible. If you have any particular skills you feel would be useful in this role, whether it is speaking another language, motivating an audience or being a logistics specialist, let us know in your application. We are looking for highly motivated individuals with experience in supporting, managing and organising staff or volunteers. Key volunteers will each coordinate a small team of volunteers, working closely with the Volunteer Manager. They will play a key role in the overall success of the event. Being able to communicate confidently, show high levels of responsibility and leadership are vital to this role. Arts activities at the Street Child Cricket World Cup will enable the young people to express themselves, share cultures and communicate beyond language barriers. We are looking for skilled and enthusiastic artists from different art forms to facilitate a range of workshops and activities and collaborate on several large projects which will form a centrepiece for the event. Street Child United works with the media to create a global platform for street-connected young people to be heard from. Communications volunteers use a wide range of skills to reach audiences of hundreds of millions for each event. If you have experience working in the media, press, are a photographer, videographer, editor or digital or social media expert then we’d love for you to help us tell the stories of the event and the young people taking part. We are looking for skilled facilitators or youth workers, particularly those who have experience working through translators or with groups with cultural differences. 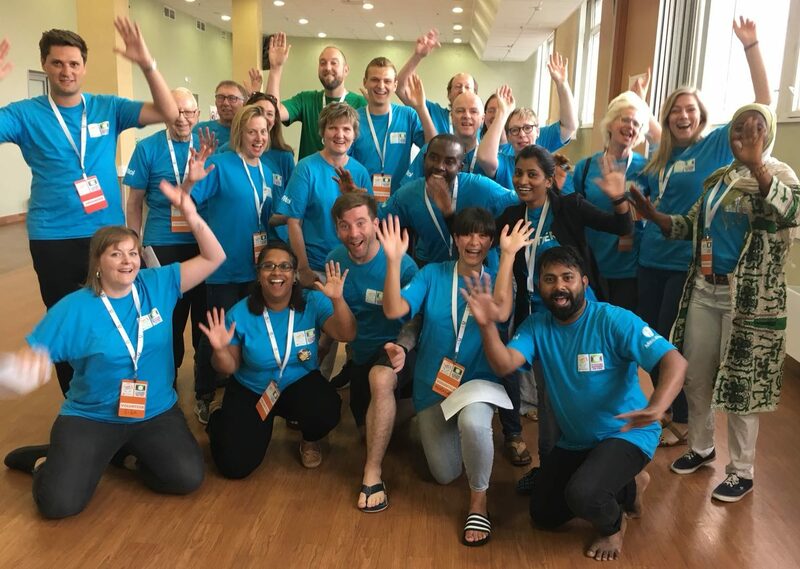 This team of volunteers will help facilitate workshops giving the young people time and space to reflect on their experiences and hopes for the future. These workshops will lead to the creation of a message, delivered publicly by the young people, about changes that governments and societies need to make to support and protect street-connected young people. Teams from 10 countries will compete at the Street Child Cricket World Cup. Without the team of volunteer translators, the event would not be possible. Translators must be confident communicators in English and one of the following languages: Bengali, French, Nepali, Hindi, Tamil, Urdu, Swahili. Each translator will be paired with a specific team throughout the event, working closely with the young people and Team Leaders to ensure they are able to participate fully, communicate with the other teams, international media, honoured guests and members of staff. If you are a doctor, nurse, first aider or physiotherapist we want you on our team. These volunteers will be the first point of call in case of injuries and accidents and will ensure that the teams are well supported through the event. If you can’t make the event itself but still want to be part of making it possible, we are looking for Fundraising Champions to help share the message, promote the event and run their own fundraising campaigns. If you are interested we would love to have you join the volunteer team. forming friendships which I hope stand the test of time and borders. The young people I had the privilege to spend time with are truly heroes. What dates would I need to be available for? 11 day volunteers will need to be available from 28 April to 8 May (dates for other volunteering options vary). Where will the Street Child Cricket World Cup take place? The event will primarily be based in and around Cambridge, with the Finals and other events taking place at Lord’s Cricket Ground in London. Volunteers will spend 11 days supporting the running of the Street Child Cricket World Cup. What you will be doing will depend on the role you are selected for, so the best thing to do is to check out the role descriptions above. The most important thing is that you are prepared to get fully involved and make sure we put on the best event possible. Volunteers have the option of staying at the accommodation provided. However, if you live in Cambridge you may prefer to stay at home and travel to the activity sites each day. Meals on site will be provided, as will any necessary transport between the event base and other activity sites, e.g. Lord’s Cricket Ground in London. Volunteers also receive pre-event training, branded clothing, day to day support and an unforgettable experience. Why a Street Child Cricket World Cup? * Impact on participants: Young people playing in the Street Child Cricket World Cup will build confidence, teamwork and leadership skills. The experience will be a significant step in their personal development and they will return to their countries as advocates and role-models to their peers. 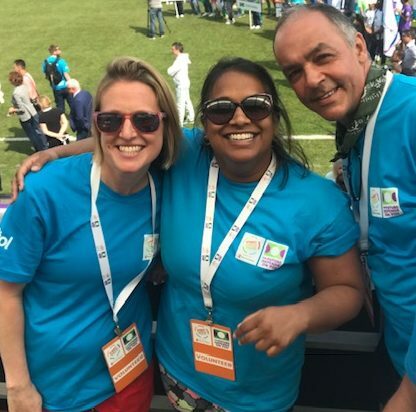 * Impact on organisations: Countries playing in the Street Child Cricket World Cup are represented by organisations which provide frontline support for street-connected young people. Through taking part those organisations will raise their profile, share best practice and build their fundraising and campaigning capacity. * National/international impact: 2.5 billion people around the world play or watch cricket. The Street Child Cricket World Cup has the potential to engage a huge number of people. The young people’s message will reach communities and governments across the world, changing the way street-connected children are seen and treated. Volunteering during one of our events is an incredible opportunity to join the Street Child United family. You will come away with new skills, friends and play a crucial part in helping us work towards our vision of a world where every child can access their rights, no matter their background. Whether you have skills or experience that make you a fit for one of the specialised roles, or if you just have the enthusiasm to get involved, we want you to help make this event happen. Volunteers need to be aged at least 18. All participants need to undertake a DBS (Disclosure and Barring Service) check, or international equivalent, as part of Street Child United’s safeguarding policy. Street Child United is committed to making its volunteering programme accessible to all. Please contact us to discuss any access or participation requirements you may have. I don’t live in the UK, can I take part? Yes, we accept international volunteers. Anyone who is a non-UK citizen will be responsible for organising and paying for their own visa and travel to the event. Street Child United can provide supporting documents for visa applications. As a volunteer you will be covered by Street Child United’s Public Liability Insurance. This does not include insurance for personal belongings. SCU’s Public Liability Insurance will not cover you in the event that you require medical treatment or have issues with your travel – if you’re travelling to the event from outside the UK we recommend you take out your own policy to cover this.